NECA’s Twitter Cover Photo has been updated with a cool set of images, showing some of their assorted figures that have recently released. Included are figures such as the 1/4 Scale Catwoman, the Mantis alien and one teaser. 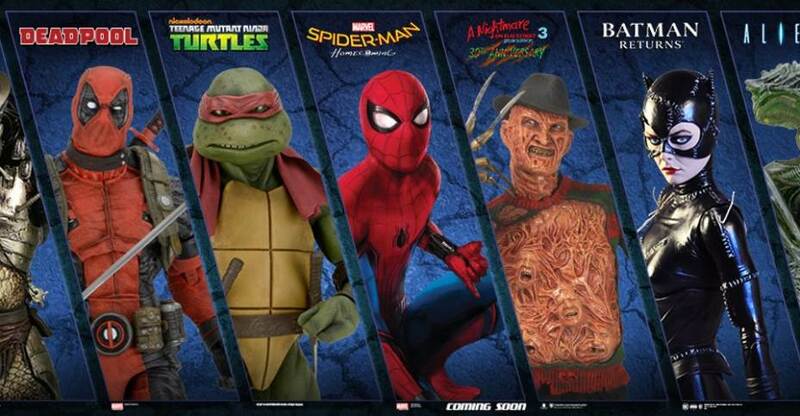 Among them, though, is artwork for Spider-Man: Homecoming with “Coming Soon” underneath the image. No official details on what we’ll be seeing, but a 1/4 scale figure could be fantastic. Click the banner to check it out. I have neither space nor budget for 1/4 scale, but they look great.